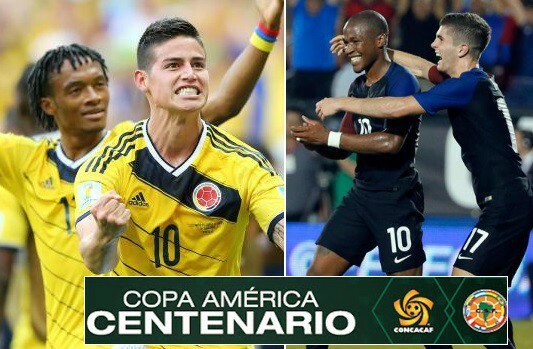 Colombia secured third place in the Copa America after beating USA in the playoff. AC Milan striker Carlos Bacca found the net in 31st minute which proved to be the only goal in what was a very closely contested game. United States mens national team has played some classy stuff in the competition so far but they were undone by world class Argentina in the semifinal. Now USMNT has a chance to end the competition on high when they take on Colombia in the third place playoff on Saturday night. 25 June 2016 at the University of Phoenix Stadium. Colombia has already beaten USA in the opening group game of the competition. 31′ 0 – 1 Carlos Bacca scored in 31st minute which prooved to be the only goal of the game. Jurgen Klinsmann was furious on the touch line after Colombia were awarded the penalty just before the break. A cross comes in from the left side and it hit USA player on the arm (totally unintentional) but referee made a critical error giving Colombia a chance to pretty much settle the game. Not much was expected of this USA side before the competition but they showed alot of heart after the defeat in opening fixture against Colombia to reach the semifinal. Any other team than Argentina in the semifinals and USA might have been playing in the finals. Now they will have to be content with fighting for third place and a chance to revenge their 2-0 defeat against Colombia on Saturday. 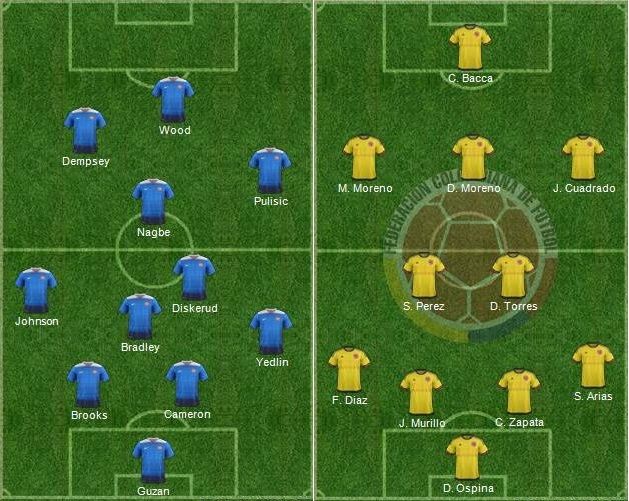 Team News & Possible Lineups: USMNT has to make difficult choices in whether to start with Brad Guzan or Tim Howard while Kinsmann is likely to stick with usual suspects as far as the outfield positions are concerned. Record cap winner Clint Dempsey will be playing his 123rd international and looking to add to his impressive 49 goal haul with US national team. Colombia on the other hand are expected to start with David Ospina in goal while Cristian Zapata, Felipe Aguilar, Santiago Arias and Frank Fabra are expected to start in four man defense. Juan Cuadrado, Edwin Cardona, Sebastian Perez, James Rodriguez and Daniel Torres to start in packed 5 man midfield with Carlos Bacca leading the forward line. Match Predictions: USA playing at home will certainly cause some problems for any team in the Copa America. 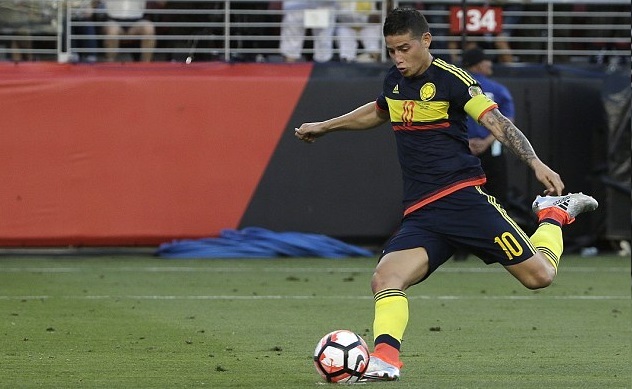 Colombia has finally decided to move on from their several key players in the past with Falcao and Jackson Martinez both ruled out from the squad but they still can pose several world class players in the lineup with James Rodrieguez and Juan Cuadrado pulling the strings from midfield while Carlos Bacca is a proven goal scorer and I am going with Colombia to win their opening game albeit a narrow one.